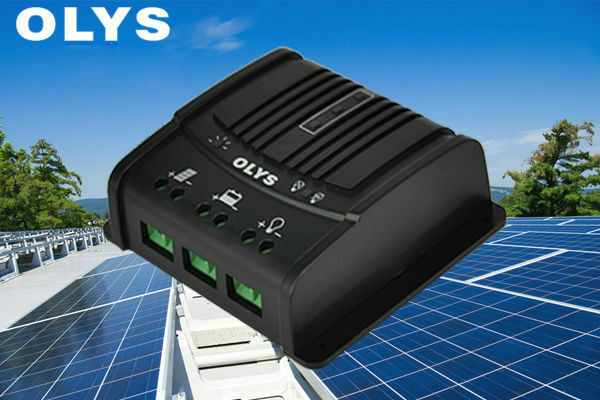 Solar energy is now one of the most green in the use of energy, solar charge controller is the core of solar power system components, the following Olympus to explain the role of each component. Solar energy, as a renewable energy source, is environmentally friendly. Solar energy is the radiation from the sun, which is converted into direct current through solar photovoltaic cells, silicon wafers, and silicon wafers. The output voltage and current are controlled by the solar charging controller and output to the energy storage battery to provide energy for the following load. The control of solar energy system is the core component of the whole power generation system. It takes on the function of regulating the charging voltage and current of the solar panel to the battery, and playing the function of over-charging voltage, over-discharge low-voltage protection, over-discharge low-voltage recovery load. A good controller must have ambient temperature detection, battery temperature detection, detection of the heat generated during charging to regulate the battery's maximum charging voltage and current to prevent the battery from vulcanizing. Solar power generation system is generally lead-acid batteries, its role is to store the electricity generated by photovoltaic panels, such as the need to release when the load. DC load: generally directly in the solar system controller output into the load, load voltage is based on the battery voltage to change. Ac load: in order to be able to supply electricity to household 220V electrical appliances, the need to convert direct current from solar energy to AC power requires a DC-AC inverter. Focus on solar controller and solar street lamp controller manufacturing and research for 12 years. Reprint from: http://www.olyssolar.com.